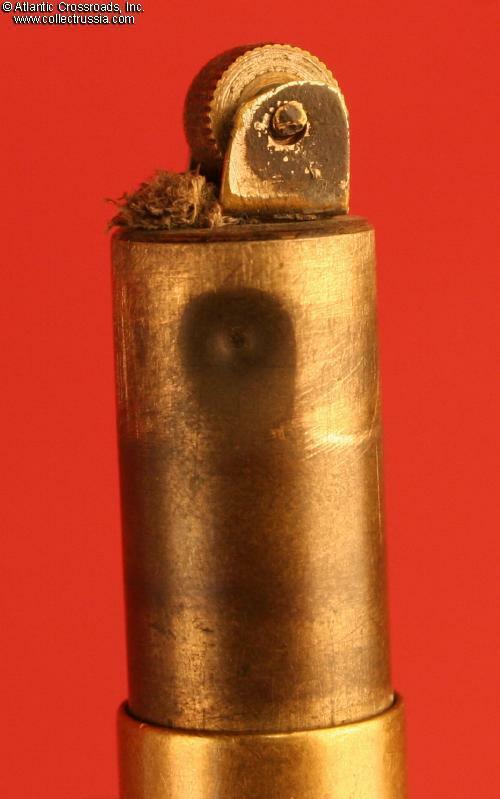 "Trench Art" WW 2 "fuse" shaped brass cigarette lighter. 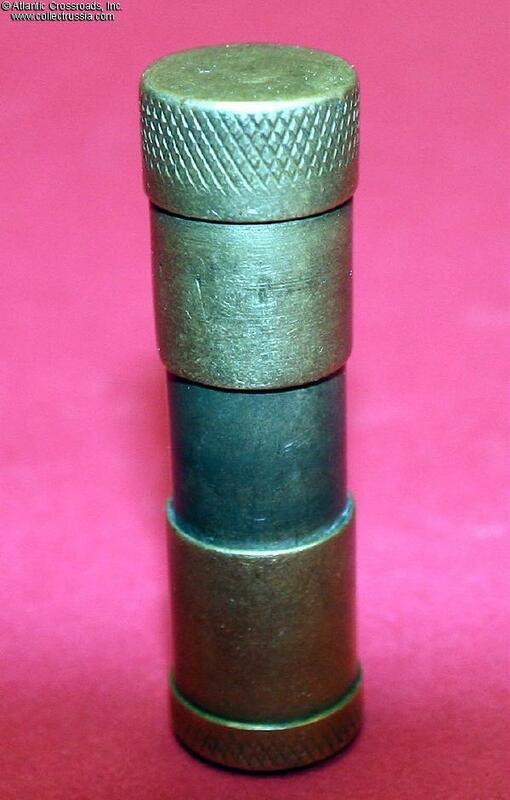 Measures 2 5/16" in height and 5/8" in diameter. We offer this item strictly as a curio with no warranty of its suitability for any practical, safe, or healthy purpose. While this is a very handsome little lighter, we would seriously caution its new owner against trying to replace the wick and flint and trying to use it because its lighter fluid chamber appears to not longer be "watertight."